The vision of WWF is that proper evaluation of protected areas leads to greater interest, more investments and better preservation of natural values. Evaluation of ecosystem services that protected areas provide is of a long-term importance to the local and national economy. It takes years of work on mapping values, engaging key decision makers and ultimately change policies and develop economic models which include natural values in their development plans. WWF has made an analysis that can provide initial information/guidance on how various stakeholders perceive the current and potential value of protected areas in order to assist the countries in Dinaric Arc region as quickly as possible to integrate natural capital and ecosystem services into development planning. 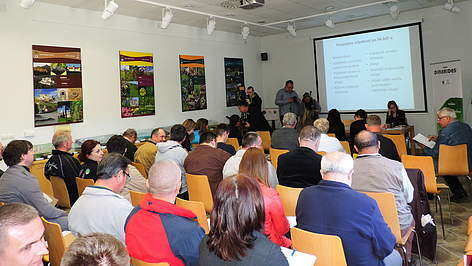 WWF team has led workshops in 58 protected areas around the Dinaric Arc region within the Dinaric Arc Parks project, assessing those protected areas for their benefits with the PA-BAT methodology. PA-BAT methodology is an important tool used to identify a full range of current and potential benefits of individual PAs, including protected areas management challenges. There are 22 values in total, and which assess the legal benefits derived from protected areas. Values are organised around nine main groups: nature conservation, protected area management, food, water, culture, health and recreation, knowledge, environmental services, and materials. Using this methodology, workshop participants assess economic and non-economic/subsistence value in terms of their benefits to a range of stakeholders. The benefits are assessed from six possible levels: no benefit; minor or major non-economic/subsistence benefit; minor or major economic benefit; and potential benefit. The PA-BAT is primarily designed for the use by protected area managers working with stakeholders to identify important values and the benefits that they bring to a range of stakeholders. In the DAP area eight stakeholder groups were identified: local people living in the protected area, local people living near the protected area, national population, science/experts, civil society organizations, government, business sector, and global community. The analysis combines the assessment made by workshop stakeholders and information collected from protected area managers and experts through a data validation process. We also received valuable input through a workshop participant survey carried out after each workshop. Guidance notes were then developed to support park management in utilising PA-BAT findings. PA-BAT results can be used at both, the national and site level, to support management as well as develop appropriate policies that support nature conservation while promoting sustainable development and wise usage of natural resources.